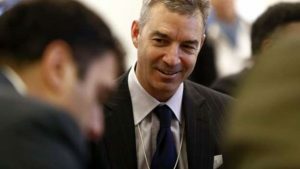 Third Point LLC operated by Daniel Loeb an activist investor unveiled on Sunday a stake of over 1% in Nestle SA the Switzerland-based confectionery and packaged foods giant. He urged the largest packaged foods maker in the world to improve its margins, buy stock back and shed its non-core businesses. The stake of 3.28 billion Swiss francs or $3.4 billion is the largest a hedge fund has ever taken. The hedge fund pressed for change in both Yahoo and Sony Corp in recent years. It said through a letter it posted on its own website that it already had, had conversations it called productive with the management at Nestle. Nestle’s shares were up by 4.7% in Monday morning trading, reaching a record high with investors hoping for change. Nestle has been both complacent and lackadaisical while underperforming, said one analyst in London. It might be spurred into action by this external force. Third Point unveiled its position in Nestle in a letter to investors of its hedge fund, in which it said the maker of Perrier water and Nescafe should sell its stake of 23% in L’Oreal the cosmetics firm based in France, which on Friday was worth an estimated $27 billion. On that news, shares of L’Oreal rose by close to 3%. Nestle is the largest packaged goods player in an industry that has been struggling with an emerging markets slowdown, dropping prices across developed markets and consumers that demand healthier, fresher products. The new CEO at Nestle, Mark Schneider has attempted to revive growth since January when he came onboard from Fresenius a healthcare group based in Germany. He is the first CEO that was selected from outside Nestle in close to 100 years and was seen as being an acknowledgement by Nestle that new thinking was needed. During February, Schneider ended the longstanding Nestle sales target that it missed for four consecutive years. Third Point in its letter said that it felt strongly that for Schneider to succeed he will have to articulate a bold and decisive action plan addressing the “staid” culture as well as the tendency towards incrementalism which has typified the prior leadership of the company resulting in its underperformance over the long term. The letter read that Nestle should also set a target for a formal profit margin of between 18% and 20% to be reached by 2020 to help improve its productivity. The current margin at Nestle is about 15%, while its biggest rival Unilever is more than 16%.